Because of your support and voting the past three years, we have been a “Best Of The Woodlands” company for the past 3 years in a row! 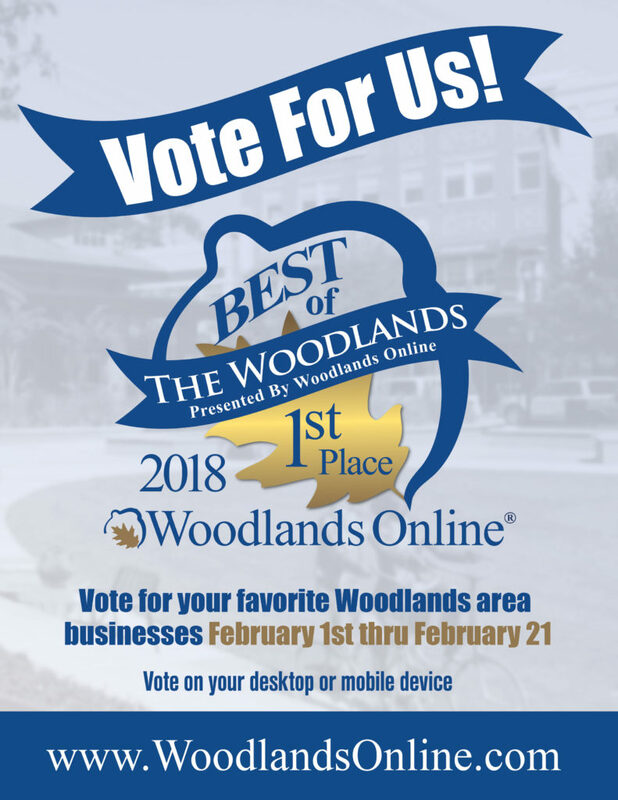 We’re looking to be “Best Of The Woodlands” again this year, but we’ll need your help to make it happen! This contest only goes until February 21st. If you would please take a minute today to cast a vote for us (by using the link below), we would very much appreciate it! As a reminder, you’ll need to create an account (if you don’t have an account already) in order to vote for us. To set up an account, please visit this page. If you have any questions about what to do (setting up an account or where to vote), please comment below and we’ll help in whatever ways we can.